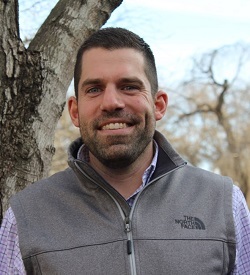 GREENSBORO, N.C., USA, February 1, 2019 - To better support Pest Management Professionals (PMPs) and their businesses, Syngenta has hired Craig Valentine as the newest member of the Professional Pest Management (PPM) territory manager team. He will be assisting customers with their pest management needs in Michigan, Ohio, Indiana, Kentucky and western Pennsylvania. To learn more, visit www.SyngentaPMP.com. ©2019 Syngenta, 410 Swing Road, Greensboro, NC 27409. The trademarks or service marks displayed or otherwise used herein are the property of a Syngenta Group Company. All other trademarks are property of their respective owners.